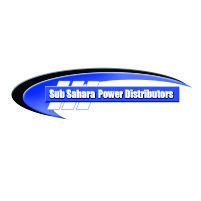 Sub-Sahara Power Distributors are the Sole distributor of the SDMO products for Sub Saharan Africa. SDMO is one of the world leaders in the manufacture of European generating sets, and specialises in the design of world leading standby, prime or base load diesel driven generator sets. This European built product is produced in a specialised 45 000 square meter production facility in Brest, France, where 20mW can be produced and tested at once. The team of over 100 Engineers in SDMO has the ability to design and engineer from the most simple standalone option, to a 200 Mega Watt Utility power plant. The production facility at SDMO has enabled Sub-Sahara Power Distributors to have a storage facility in Johannesburg, South Africa. Units ranging from 1kVA up to 1.1 MVA standby are kept to the convenience of all the Distributors in Sub-Saharan Africa.